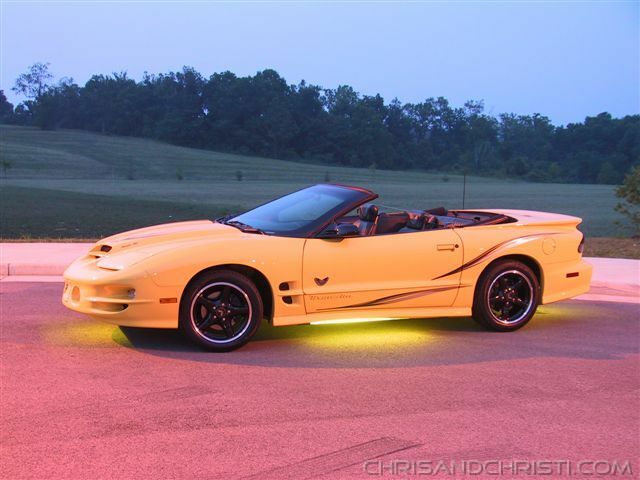 This is our newest baby, a 2002 Collector Edition Trans Am Convertible WS-6. 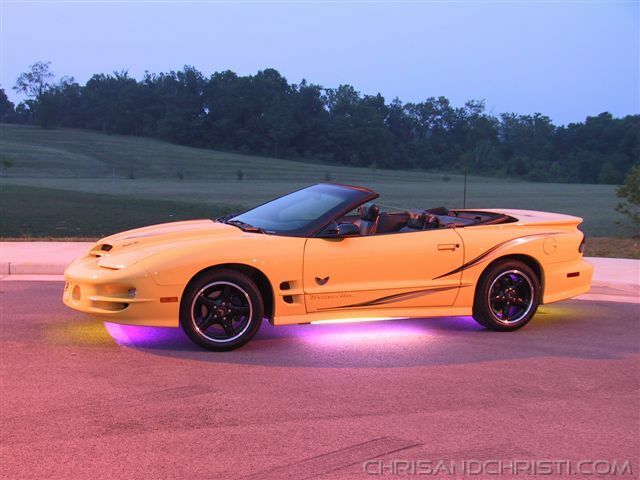 The car has every option available, which is only three options; a Hurst shifter, Traction Control, and a 12 disc CD Changer in the trunk. 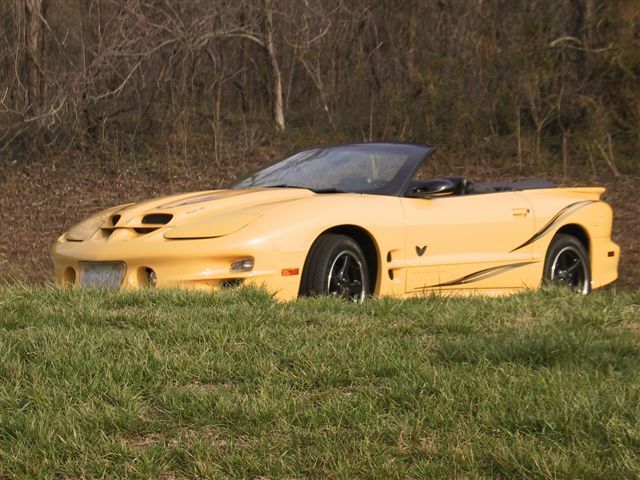 The car is painted Collector Yellow, which is Sunfire Yellow with a new name, and is the only Trans Am with this color available. 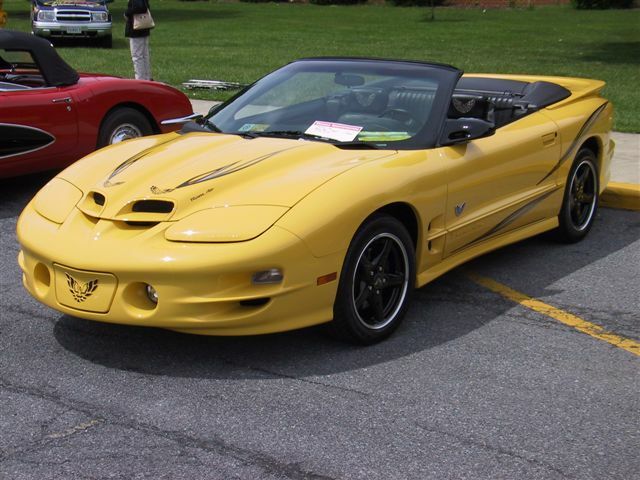 ASC performed the Collector Edition WS-6 conversion from a standard Trans Am to the beast before you. 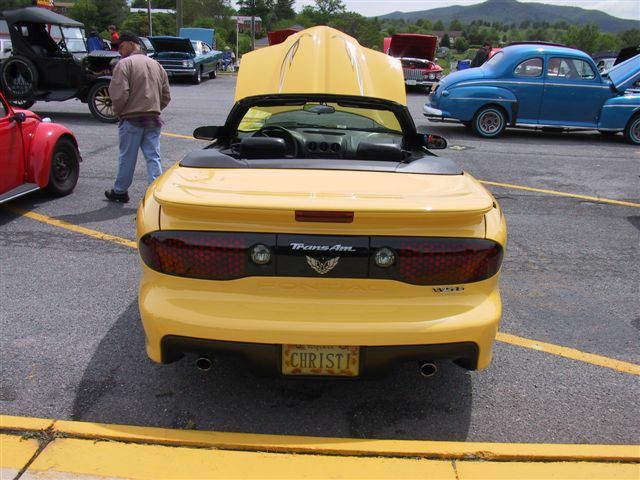 Our car is build number 209, and it was car number 42 that was a 6 speed convertible. 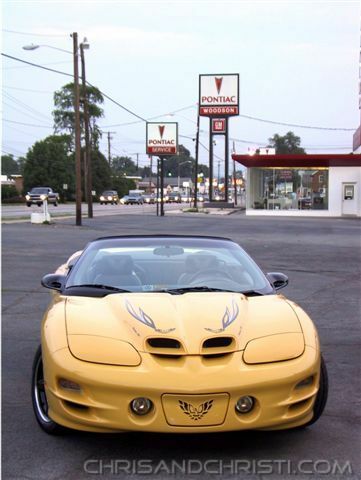 The Collector Edition comes with feathers, which are the stripes that go over the hood and down the side of the car, Screaming Chickens, which are the Trans Am logos that are on several places on the body, embroidered head rests with the Collector Edition logo, floor mats with the same logo, and a trophy mat with the logo. It also has a black rear facia, a black painted rear differential and brake calipers, and black 5-star WS-6 wheels with a polished lip. Only 549 convertible 6-speed cars were built. 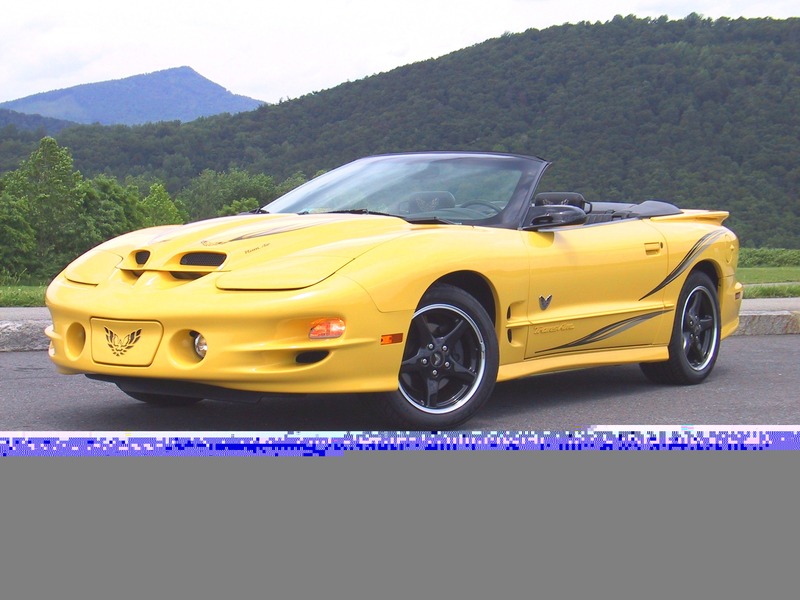 We saw the debut of the car at the 17th Annual Trans Am Nationals in August of 2001 and decided at that moment we had to have that car. We came home and told our dealer that they would be getting an allocation of these cars (2), and that we wanted one of them. After 4 months, we finally got our car, made just for us. She only goes out when it's perfect outside, and gets detailed when she comes back. Click on a thumbnail to enlarge. Once enlarged, click your back button to come back to this page.